HP - "Mini Big Books"
• Schweppes : +11% ventes volume / +17% ventes valeur Chiffres d’impact des campagnes de communication constatés après leur diffusion en 2008. Sources : IPSOS, Nielsen, côté clients, MPD France Institute, NPD chaines-grands magasins, online survey with demographix, annonceurs. Pour plus d’informations : contact@fredfarid.com. FF announces the appointment of Séverine Autret as Managing Director and Partner of the European creative agency FF Paris. Séverine will lead the agency alongside Olivier Lefebvre, recently appointed CEO and Partner. Within the FF network, Séverine Autret will run the Paris-based creative boutique with Olivier Lefebvre, which has grown into an agile, cross-functional European organization connected with the group's other 3 agencies (FF Los Angeles, FF New York and FF Shanghai). 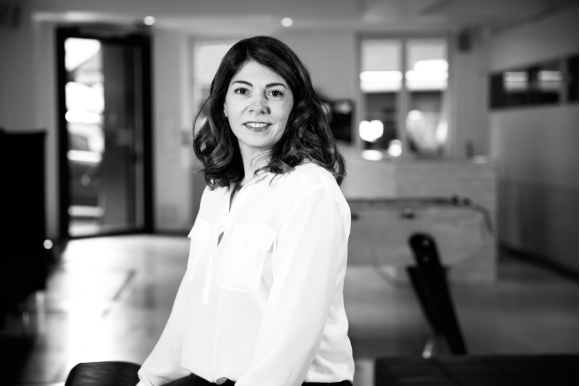 Séverine Autret, Managing Director and Partner of FF Paris declared: "After 20 years spent in a big network, I wanted to change, to take on a more entrepreneurial and international challenge. I always put a lot of myself into everything I do, I am a very dedicated person and I like to have a positive impact on my company and my clients' business. That's why the independent model of FF network has convinced me. FF Paris is a creative and well-born agency: fully integrated/media agnostic, very agile and international. The team members are talented and enthusiastic. I am happy to join Olivier, whom I have known for a long time. It is a beautiful project, a European project and I am very proud to take up this challenge and to carry it out."